The Brazoria County Health and Wellness Center (clinic) was established in October 2012. Any employee, dependent age 2 and older, or retiree who is on the county’s medical plan is eligible to use the Wellness Center, explained Mary Jo Baumeister, benefit advocate for the Brazoria County Department of Human Resources. The visits are “on the house,” Baumeister emphasized, meaning the qualifying patient is not charged a copay when he or she visits the Wellness Center, and the county’s self-funded plan does not receive a claim. Current services include annual physicals, vaccinations, flu shots, urgent care, primary care, and blood draws, Baumeister continued. The county employee is able to schedule same-day appointments Monday-Friday and use county time when visiting the clinic, which is located within a 10-minute drive of over 70 percent of Brazoria County worksites. The Wellness Center is 100 percent county funded, Baumeister detailed, and the equipment is county-owned. In 2018, Brazoria County spent approximately $630,000 on the employee clinic. Brazoria County clinic patients have access to a phone app that allows them to schedule their appointments, offered Cheryl Bertrand, director of marketing and business development for Next Level Urgent Care. Patients receive reminder notices that allow them to confirm or cancel their appointments. “If it is after hours or on the weekend, we have a map for the closest Next Level Urgent Care near them to keep employees from over utilizing the emergency rooms when not necessary,” Bertrand added. Next Level also manages county employee clinics in Fort Bend and Montgomery counties. The advantage to Brazoria County as a whole is reduction of lost productivity time, Baumeister shared. The clinic is also a selling point in recruitment of new hires. “Investing in the well-being of our employees is a priority in Brazoria County,” emphasized County Judge L. M. “Matt” Sebesta Jr. “With our on-site clinic, we are able to contain medical costs, identify health conditions earlier, and assist employees in managing chronic conditions. “The clinic is convenient as it more easily allows employees to fit appointments into their schedule,” Sebesta observed. The Montgomery County Wellness Center has been open since 2009, and the medical services are currently being provided at no charge to eligible employees and their dependents, shared Virginia K. Little, director of risk management. Montgomery County owns the Wellness Center building and equipment; the county spent approximately $1.3 million on the clinic in 2018. All county employees are eligible at the time of employment to use the Wellness Center for on-the-job injuries. Full-time employees may access medical services from the Wellness Center upon hire date if they elect to participate in the county’s medical plan, Little specified. Their participating dependents may seek medical services upon their effective date of coverage on the medical plan. “The Wellness Center has shown to be beneficial to employees and their families by adding a convenient and accessible option for health care appointments by ensuring they can be seen much more quickly than is often possible when scheduling through outside primary care physicians,” Little elaborated. From the perspective of the county, the Wellness Center has certainly reduced the hours of missed work that comes with employees often having to travel farther to see outside primary care physicians, Little reported. Montgomery County has approximately 2,500 employees, said Commissioner Mike Meador, and many of them are located downtown right by the Wellness Center. Annual Health Risk Assessments help with early detection of diseases such as hypertension, hyperlipidemia, and diabetes. “Employees and their dependents who are regularly seeking disease management services will stay healthier and lower their need for emergency room visits and hospitalizations,” Little offered. Equally important to Montgomery County is the capability of the Wellness Center staff to offer education opportunities on a number of health topics, frequently traveling to work locations to offer classes on-site. “We are very pleased with the way the Wellness Center has worked out,” Meador summarized. Along with curtailing costs, employees are not only missing fewer work hours, but they are pleased. In fact, just before Meador shared his perspective on the clinic, he had visited with a county employee who had commented on a sore throat. The employee walked over to the clinic the same day, was diagnosed with strep throat, and offered a prescription. That evening, a clinic representative called to check on him. “The more employees treated at the Wellness Center, the better off we are,” Meador concluded. So much of county government comes down to numbers. How much money do we need, how much money do we have, and how much money do we owe? Equations are the name of the game, especially when it comes to budget time. Medina County has come up with another equation, this one linking miles, pounds and pressure (blood pressure, that is) to a decrease in employee health care costs. Since Schuchart took office in January 2015, he has implemented several wellness-oriented programs to inspire county employees to be as healthy as possible with a twofold potential benefit: improved personal health and a related decrease in health care expenses. Schuchart’s first step was the formation of the Medina County Wellness Committee, which has sponsored a variety of health initiatives and challenges complete with incentives and rewards. While Schuchart says the county has only just begun its wellness campaign, accomplishments thus far are certainly impressive. Just ask Tom Keynton. In the spring of 2015, Schuchart arranged for Weight Watchers to conduct weekly county meetings. As part of an incentive to join, the county offered to pay $50 of each participant’s Weight Watchers fee. Tom Keynton, now an elections clerk for the county, worked in the maintenance department at the time. Although he was 34 years old and weighed 450 pounds, his weight had never really bothered him, and he had yet to experience any health issues. However, when Keynton’s supervisor informed him of the program, Keynton saw it as a challenge. “When I’m challenged, I will do it,” Keynton claimed. He remained faithful to the program and upon completion weighed in at 330 pounds. “I do feel better,” Keynton shared. Collectively speaking, the 25 Weight Watchers participants lost around 400 pounds. Medina County’s health provider gave the county $10,000 to go toward wellness efforts, and Schuchart and the committee have used a portion of this money to create an atmosphere of light-hearted challenge where participants are rewarded for their efforts. For example, 90 employees participated in Walk Across Medina County last year. Everyone on the first-place team, which included County Commissioner Larry Sittre, received a $100 gift certificate. An iPad was purchased for the individual winner; however, the top two walkers were so close – one logging 532.40 miles and the other 531.06 miles – that each received an iPad. In January of this year the Wellness Committee issued a weekly challenge, asking participants to tally exercise minutes including walking, running, biking, etc., with a prize going to the winner. The contest has been restructured since then with participants broken into three groups. “We changed up the contest to allow everyone who participates to have a chance to win and not just the top performers,” Schuchart noted. “The top performers will win a larger prize amount, but all participants have a chance to win something. Some 40 employees are currently involved in the program. Other wellness activities have included screenings for conditions such as high blood pressure and diabetes, along with body fat measurements and other health indicators. The county gave a $75 gift certificate to each employee who participated. “By far, the majority of our employees took advantage of this event,” the Judge reported. The county paid the health provider to manage the screenings; the only requirement from the provider was at least 20 participants at each screening location. “While there was a cost to the county, it was worth it if it keeps us healthier,” Schuchart emphasized. This spring Schuchart anticipates an employee health fair and perhaps another Walk Across Medina County challenge. County Progress kicked off our January 2016 coverage with the county constable. We continued in February with the juvenile probation department, and this month we address the county health authority. The Texas Legislature has delegated counties and municipalities the power to appoint one physician as the county health authority within their jurisdiction. Counties and municipalities with health departments appoint the medical director as the local health authority. Those without health departments appoint a local physician in private practice as the health authority. The director of a regional office of the Texas Department of State Health Services (DSHS) may serve as the health authority of a municipality or county within that region, at the request of the Texas Board of Health (Board). The county health authority is appointed by the County Commissioners Court to a two-year, renewable term of office. the action must be reasonable. However, individual rights must give way to the general welfare of the public. In most instances, public health laws are enforced by a court order that is granted after a consideration of the medical and other facts in the case, taking into account no more inconvenience to the individual than is necessary. 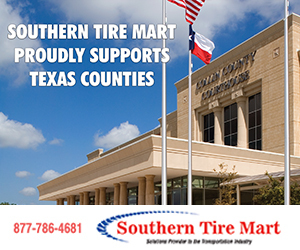 The county health authority is a competent physician legally qualified to practice under the laws of the state of Texas and of reputable professional standing. This physician is appointed under the provisions of Chapter 121 of Vernon’s Civil Statutes Health and Safety Code to administer state and local laws relating to public health within the appointing body’s jurisdiction. The health authority must take and subscribe to the official oath and file a copy with the Board. The health authority advises the Commissioners Court or city officials on health-related matters and also enforces laws that protect the health of that jurisdiction. The local health authority is assisted by DSHS regional staff in epidemiological investigations, and in providing certain laboratory and public health nursing services. The medical judgment of the health authority guides health law enforcement. The health authority also must serve the Commissioners Court, which may take action or adopt rules necessary or expedient to promote health or suppress disease; to prevent the introduction of a communicable disease into the community; establish, maintain and regulate hospitals; and abate nuisance injurious to the public health. The court may fine a person who fails or refuses to observe the orders and rules of the health authority. 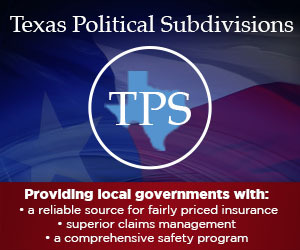 The Texas Communicable Disease Prevention and Control Act specifies tasks which the health authority must accomplish in disease prevention, reporting and investigation, disease control, powers to suspend elective hospital admissions, limitation of liability of those in compliance, exemptions based on religion, prohibited acts, and quarantine. The health authority is responsible for abatement of nuisances in the environment as defined in the Minimum Standards of Sanitation and Health Protection Measures. The health authority may also be appointed by the court as the officer for the purpose of the Rabies Control Act, or an independent officer may be appointed. However, professional direction is provided by the physician health authority. The health authority has special responsibilities according to the provisions of the Texas State Disaster Plan in disaster planning, disaster drills, response to disasters, disaster operations, disaster coordination response, damage assessment, public information and rendering reports. The health authority also is required to sign official documents to warrant that nursing homes, custodial care homes, maternity care homes, and other similar facilities are healthful habitations for residents, which affords an opportunity for local government intervention. Any trade, occupation, or profession can be regulated in the interest of public health, such as roadside food vendors and public pool operators, and enforced by the health authority. Ultimately, the county health authority is responsible for establishing, maintaining, and enforcing laws relating to the general welfare and health of the local public.